Traditional Certificate Templates – 15 certificates for various uses in a businessm school, family or organization. Certificate of completion, certificate of recognition, certificate of participation, certificate of appreciation, certificate of achievement and more. Some of the certificates have a more serious look and feel, while others may be more appropriate for lighter occasions. 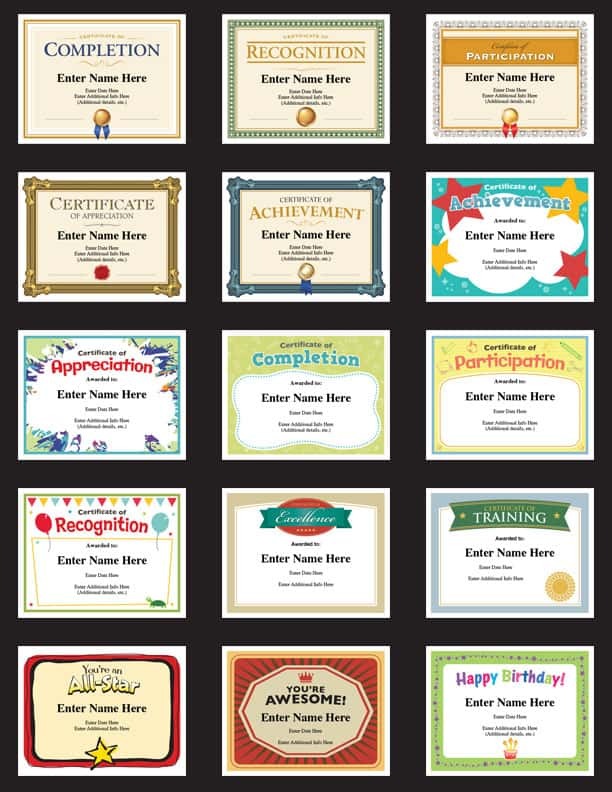 When you purchase these certificates templates, you’ll receive a PDF file that can be used on Mac’s or PC’s. Use them year-after-year for all different occasions – it’s a great deal! 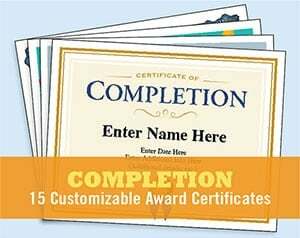 Personalize these award certificates templates with a person’s names, the date, and your own words of praise. Designs are set to work on standard 8.5” x 11” paper. Fun, stylish and a lasting keepsake for your friends and colleagues. The key to presenting a Certificate of Completion or any of these certificates for that matter, is to make a big deal about it. Call folks up one by one and award each certificate. Look them in the eye and say, “Congratulations!” Say some nice things about the person and the achievement before handing the certificate off. It’s not just the certificate, it’s the experience. Folks will remember it if done correctly. Learn more on why employee recognition is so important. • Print as many as you like. Use these for all different occasions, and just change the text to reflect each situation. 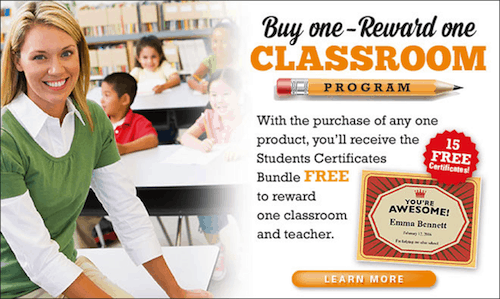 Buy these Certificates and reward your favorite teacher!